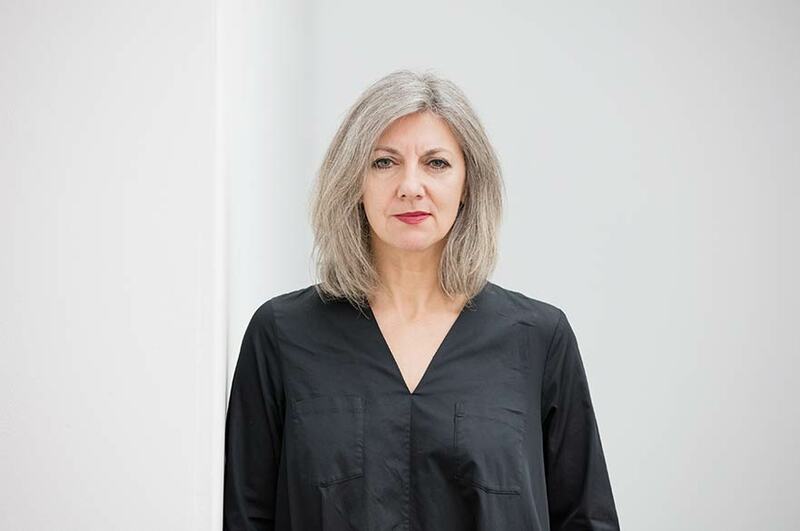 Katherine is an Associate Professor in Fashion and Textile Crafts in the Fashion, Textiles and Knitwear department in the School of Art and Design. Her role includes leading and participating in research projects that explore a range of approaches into sustainable / smart fashion and textiles, as reflected by the work of the Digital Craft and Embodied Knowledge Research Group. She supervises postgraduate students at PhD and Master’s level as well as contributing to the MA Fashion, Textiles and Knitwear Design, and MA Culture, Style and Fashion courses. Following a first degree in Printed Textiles and a successful career as a freelance designer, Katherine co-founded the independent fashion label Cocky’s Shed, based in The Lace Market, Nottingham and Hyper Hyper, London. The label supplied stores across Europe, New York and Hong Kong and produced diffusion lines for UK high street chains including Top Shop. This industrial experience supported her academic career in research and teaching, as Course Leader for BA Honours Textile Design (2004-2007) and MA Fashion, Textiles and Knitwear (2007-2015). Her research has been regularly published and referenced in books and journals; Crafting Textiles in the Digital Age (2016), Metric Pattern Cutting for Womenswear (2015), Lace, Here Now (2013), Digital Visions in Fashion and Textiles: Made in Code (2012),Textile Design Research and Practice (2014), The Design Journal (2004/14) and Textile (2011), and Russian Fashion Theory (2014). She co-edited Textile Design: Principles, advances and applications (2011), and continues to co-edit the journal of Craft Research (2010) . Katherine’s PhD, Transforming Shape (2004) was funded by NTU and sponsored by Lectra (Fr), Stork (N) and Body Aspect UK. The practice-led study explored a 3D approach to the body, cloth and print through the integration of handcrafted and CAD/CAM approaches. The resulting simultaneous design methodology (SDM), combining geometric cutting, draping and engineered surface imagery, continues to inform her postdoctoral research into the development of emotionally durable fashion and textile concepts. Since 2014, she has led Emotional Fit: Developing a new fashion methodology with older women a co-creative project with other researcher practitioners and a group of mature individuals (55-75) from Nottingham. Using the process of fashion as a tool, the group seek to inform design educators, students and industry about the changing physiological and psychological design needs of this ageing demographic. Katherine is a lead member of The Electric Corset and Other Future Histories a collaboration with Nottingham City Museums and Galleries’ Costume and Textile Collection, which is exploring the creative potential of historical archives to inform the design of E-textiles and wearable technology. Katherine has been involved in supervising and examining PhD projects in the following areas: interdisciplinary and participatory design, fashion and ageing, 3D knit and weave, creative pattern cutting, body scanning and sizing, sustainable fashion and textiles, emotionally durable design, hand and digital crafting approaches, craft and embodied cognition, E-textiles and wearable technology, archival costume and textile research.